The Time & Tides Watch features a painted detail of an 1896 Aesthetic Movement wood mantle clock designed by Charles Francis Annesley Voysey, in a beautiful craftsman style color palette. The image reads: “Time and tide wait for no man.” . 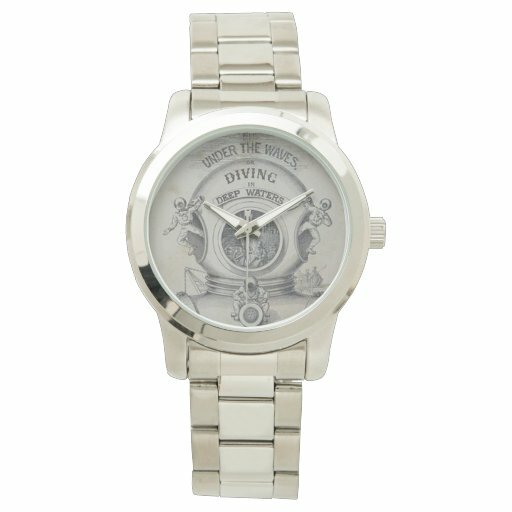 The Under the Waves Watch face is a detail from a vintage book cover, featuring the image of an antique deep sea diving mask and divers in vintage costume. The text on the face reads: Under the Waves: or Diving in the Deep Waters”. A unique gift for the ocean-minded. 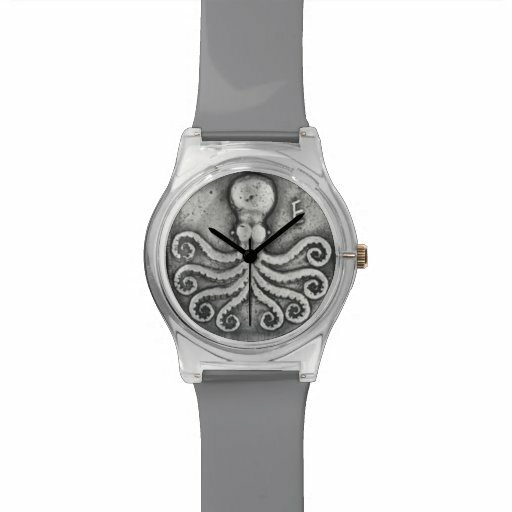 And two octopus timepieces combining modern design with ancient images. 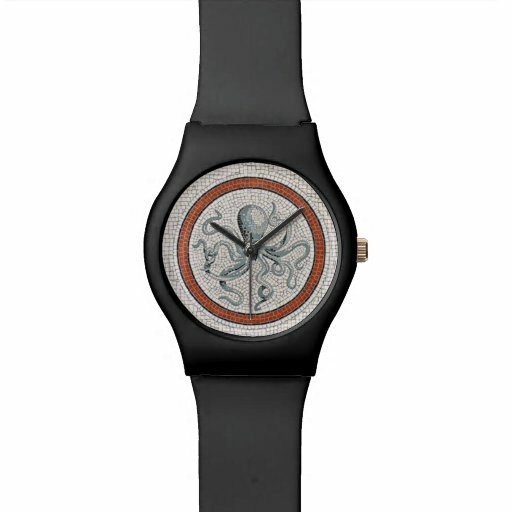 Octopus Watch features the a detail of a floor mosaic from ancient Pompeii The Octopus Coin Watch face features an octopus carving, found on an ancient mediterranean coin from 500 B.C. 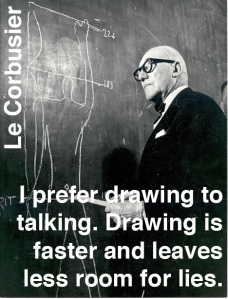 Le Corbusier: I prefer drawing to talking. Drawing is faster and leaves less room for lies. Best quote I’ve seen in a while _ I love this!